Playing ukulele is quite popular these days. And for reason. A ukulele is a small, cheap, guitar-like instrument with four nylon strings, usually tuned G C E A. Because of the limited number of strings and the guitar-like tuning it is easy to learn a few chords and actually start accompanying singing. 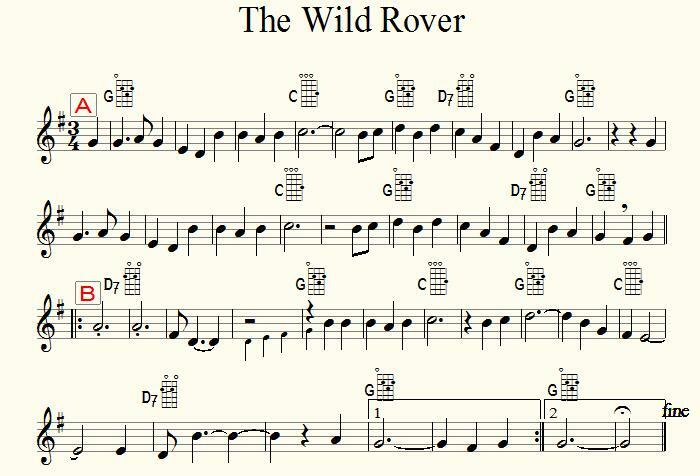 At the end of this page you'll find a ukulele chord chart containing major, minor, seventh and diminished chords for each possible key. The chart might be a little intimidating. It makes almost no sense to start learning them from first to last, and a lot of the chords will almost never be used by ukulele players. When learning ukulele chords is is probably best to learn them as a set belonging to a key. Let's start with the most important chords in the key of C, the key without any sharps or flats. The chords to use are: C (of course), G7 and F.
Note that the first chord in many tunes is the key-chord, the most important chord that (almost) always will also be the last. When mastering these chords, pay attention to the much occurring sequence G7 - C. The G7 poses tension that is being released by the C-chord. G7: question, C: answer. 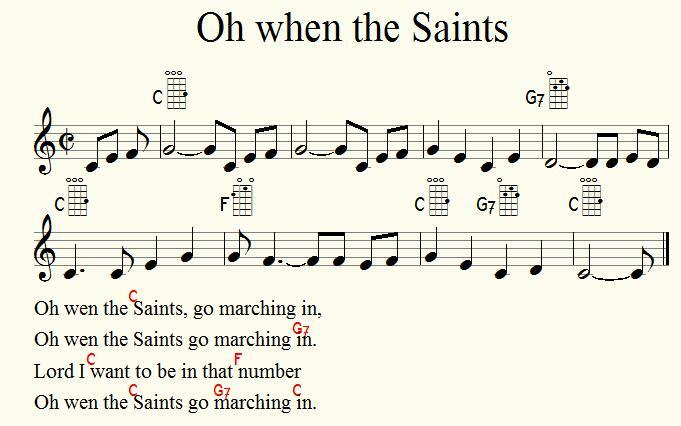 Now start strumming with Oh when the Saints and notice the G7-C at the and of the tune. The same three chords will be useable for a whole lot of other tunes. However, you may have to switch to another key if the tune reaches too high or too low. 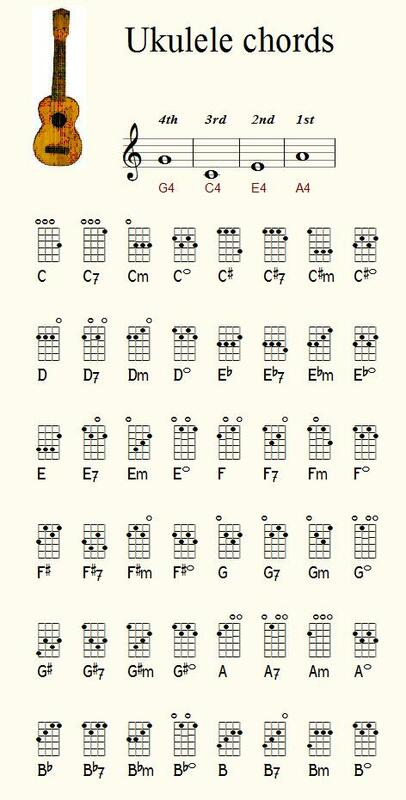 Show the chord diagrams to a tune by pressing the toolbox button and select ukulele diagrams.